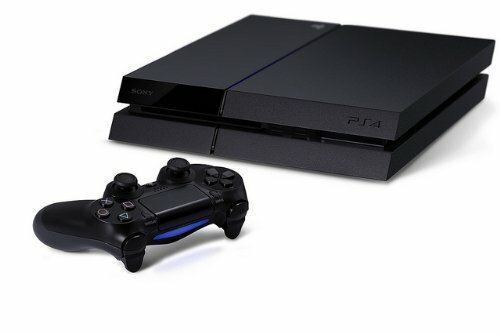 PS4 launch day console review! So far I’m Impressed. I purchased the launch version at 12:15 Friday night of the 15th. I’m glad I did. Got up the next morning and looked online and they were already sold out.With prime shipping it arrived Monday afternoon. I was worried that I was going to get a bad unit like a lot of other reviewers on here. Got everything hooked up and hit the power button… It flashed blue… I was worried for a second, then the light turn white and the PS logo appeared on the screen. Sigh of relief. First thing I did was run the latest firmware update. It updated without any issues.Once you’re at the home screen you’re welcomed by soothing music and a clean feeling menu. After a couple of days I got tired of the menu background music so all I had to do was go to the settings and turn that off. Everything seems very snappy. My first real impression was how fast the PS store opened. On the PS3 it seemed to take forever, but on the PS4 it was almost instant.Installed my first game (Battlefield 4) and once I inserted the disc the game immediately started to install itself. Within seconds it was ready to play. When I first entered the game I was told that to access the games network features I would have to install an update for the game. But for offline campaign mode I could immediately jump into it. I played the campaign for a few minutes then backed out so I could run the update and use the network stuff. The PS4 alerted me that it had started the download of the update and once complete that it was ready to install. It installed without a hitch and I was able to get into the game and access the multiplayer features.Went ahead and installed the other two games I had purchased (COD Ghost and Need for Speed) both installed without issue. Got notified that they too needed updates so I went ahead and ran them. This being a launch system and as new as the games are I wasn’t too surprised with all the updates.It was getting late so I didn’t get to get into much game play that night. Fast forward to now and I must say i’m quite impressed so far. I’ve been playing battlefield mostly and the graphics are phenomenal. Compared to the PS3 its a great improvement. I would have to say it give the PC a run for its money.One thing I was really impressed was this. A friend was watching a movie on netflix. I came into the room and he wanted to show me something on COD. In a matter of seconds he went from netflix to game play. You hit the PS button and your back a the main menu… He had already played the game earlier so it was on standby. He selects the game, hits enter and the game came up almost immediately and he was back to where he left off. After watching him play a bit I was impressed with the quality of this game as well. Found a few glitches in the game, but I expect those will be fixed over time. I know Battlefield was having issues with some of its multiplayer maps. I guess thats what you get when you buy launch day consols.Overall I’m liking it so far. But knowing Sony and the PS3 more is to come. I was disappointed in them not including the DLNA features because that was one of the main things I used on the PS3. I have a feeling that Sony will add this soon.Those of you who are thinking about buying one this holiday. Wait till amazon or the stores get them back in stock. Don’t buy one for $600-$1000 its not worth that cost. Plus by the time there back in stock the should have more of the bugs worked out.I hope my review was helpful. To those who got bad units and are hating on Sony: Don’t disqualify the PS4 yet. Get your replacement and give it another shot. I think you’ll be glad you did. The Next Generation is Beautiful I don’t even know where to begin with my review. I guess I could say that I love the Playstation 4 or that it works perfectly and I’ve had no issues (apart from the Playstation Network being down a bit as it was getting hammered by all the new PS4 owners). I guess I’ll just do a list or Pros and Cons:PROS:-The system itself looks awesome. Very architectural. It was actually the first thing my girlfriend commented on and said she loved the way it looked.-The User Interface is basically an upgraded XMB. If you liked the XMB, you’ll like this interface. It is also incredibly snappy and responsive.-Getting in to and out of the Playstation Store is seamless. Not like on PS3 where it takes 30 sec to a minute to load. It loads instantly and is integrated in to the UI.-Resogun is awesome in all its old school shoot-em-up glory.-Killzone: Shadowfall is beautiful but I haven’t had too much play time with it yet.-Knack is surprisingly fun, despite what all the reviews say. It looks like a Pixar movie at points. Drop in co-op is a blast. It’s so much fun with me as regular Knack and my girlfriend as Robot Knack. She is actually better at beating up baddies than I am.-Updated trophy support. Rarity of trophies is a fun little data point to look at.-Playstation APP/offscreen capabilities are nice. Typing using a touch screen is so much nicer than using a gamepad.-DualShock 4 (the controller) is nice to hold. Trigger shoulder buttons are a marked improvement over the DS3 R2/L2 buttons.-My favorite feature: VITA REMOTE PLAY! Works like a dream. Almost no perceptible lag. I was playing Resogun on it (a game that requires little to no lag or you’ll die) and it ran so smoothly.CONS:-UI is barebones. That’s actually fine with me but many people these days demand a more robust UI.-Unable to delete unused Apps in the movie/tv section. If there is I haven’t figured out a way to do it. Granted, I haven’t tried that hard since I’ve been having too much fun playing games.SUMMARY:It’s a great gaming system with some great games and a promising future. The interface is bare bones (which I like) and incredibly responsive but may not satisfy people who love a more robust UI. The remote play of the vita and second screen capabilities via Playstation App are nice additions that will get a lot of use out of people that own a Vita/Playstation App compatible phone. It is a device made to play games and does so wonderfully. Phenomenal Machine !!! Yes, this is a fantastic game machine.SONY has already released the patch 1.51 for it, which got rid of the ONLY circumstance that I could crash it:The Amazon video app seemed to have a memory leak or something. I could seamlessly switch out of a game (Assassin’s Creed, Killzone, NFS, or Knack) and suspend the game while watching movies on Netflix, Crackle, or go online with the web browser or the PS Store. Not so when I used the Amazon App the first few days. My movies on Amazon App would also freeze all within the first 10 mins or so and the machine would lock up when i’d try to exit that circumstance.After the 1.51 patch, delivered yesterday on 11/20 , Amazon app works fine and i’m unable to get the machine to lockup at all!!! !So, the ONLY complaint I had since buying it is now gone.I hope Amazon won’t censure this for telling the truth about how it WAS, and is now fixed, because it involved their name, we can hope.The GREAT:SONY released an update to their developer’s code library that let every game available speed up and become sharper (much like a PC might get a driver or Direct 3D update). So, by my count, ALL PS4 games are running at 1080p, with Need For Speed being the only one at 30fps instead of 60fps because the developers wanted it that way to ensure it looked the same on both machines. Most XBO Games are if you check around only running at 720p, and that’s the honest truth. I don’t spend more money on a LESS capable machine, so, it’s PS4 for me only.DualShock 4: The controller is Fantastic and a very nice update/refinement of SONY’s tried and true pad. This feels like a professional gaming controller. I don’t know HOW third parties are going to sell their own, this is really a wonderful thing, matching up VERY well with my Saitek P900 and P2900 wireless and wired PC game pads. Those look funny but I consider them my favorite controllers. Until now, the PS4 controller certainly channels the best desires of gaming designers and gamers needs.Design: It’s gorgeous, and, the angles and panels lend itself to getting designs and skins put on it. You get a nice dark kit that disappears into your home theater setup, but, if you want, it can be decorated with slipcover or sticker skins that could make it look striking. It’s very small and light. I can’t imagine a PS Four years down the road that is alot smaller and lighter, it won’t seem right!Launch Games: SONY didn’t front load all of their first party studios with launch day deadlines. If you have a PS3 there’s still amazing games that have come out and still coming out. SONY doesn’t brick their last gen system when the new one comes out. The games are coming and the games we do have today are great. The games NOT made by SONY from EA, UBI Soft and Activision et al are all BETTER on the PS4, if not in gameplay due to the controller then just because they have 2x the fidelity of the XBO version. It’s just the truth!My Verdict: The ONLY MUST HAVE Game System at the moment.Get a WiiU if you need game of the year, because, it might just be Super Mario 3D World from the review’s i’ve just seen, but, make that your second system over this, because the games i’ve played on the PS4 are superb and the best Day One experience i’ve ever had with a game system!! !